This is my progress as of this morning when I took these pictures. 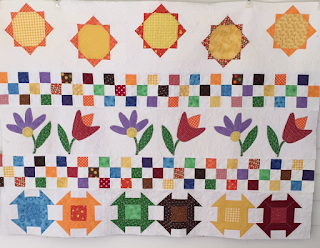 Still have one more applique row with butterflies, and checker board separator row and a row of houses to go. 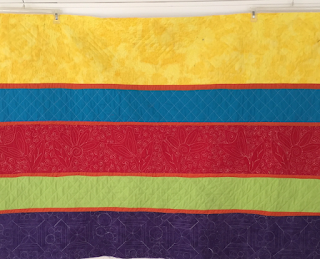 Having a lot of fun with this one and loving working with these bright happy colors. 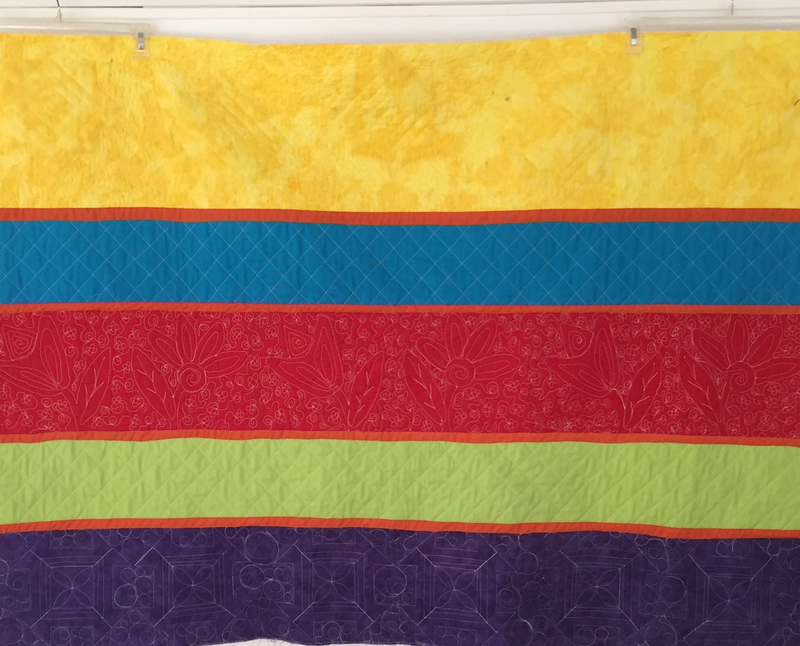 Since am doing this Quilt-As-You-Go, I can use a different bright color fabric for the backing on each row. How fun is that!!!! 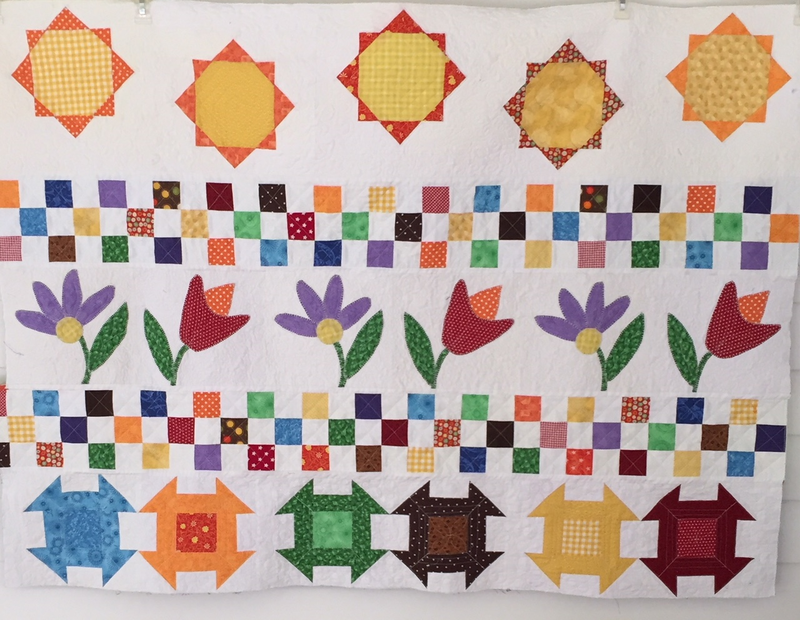 I am using an orange sashing to connect these rows on the back ad just a white on the front. Love all those happy colors! What happy colours! It's lovely! So cheerful!